Facebook Lead Ads make it easy for both businesses to gather lead information and for prospective customers to learn more about products and services that interest them. Only 37% of B2B marketers feel Facebook advertising is working for their business. On pace to hit 2 billion users this year, Facebook obviously has reach. So why is Facebook advertising not showing a greater ROI for your business? Well, are you using lead ads? If not, that’s probably one of the reasons. 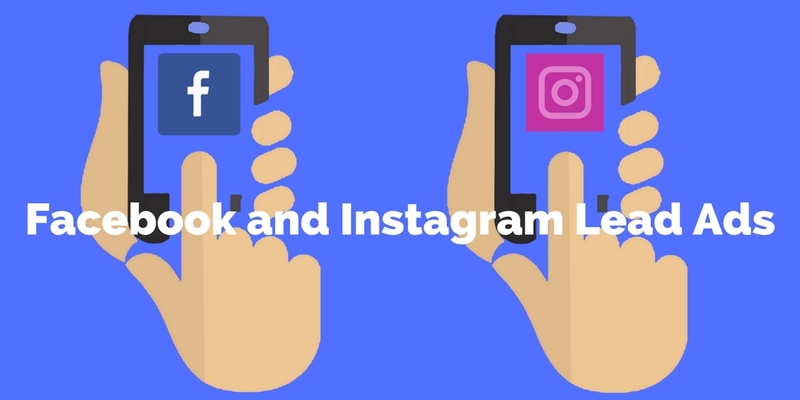 Facebook lead ads allow you to run lead-generation campaigns on Facebook and Instagram. This kind of social advertising shows an ad for your product or service within the news feeds of potential customers. Just set the parameters (e.g., demographics, location, etc.) for your target audience, and the network’s algorithm will identify who sees the ad based on information they’ve provided in their profiles. But here’s the real kicker: Unlike other ad types, lead ads include a contact form that lets these potential customers show their interest in a product or service by filling out the form with their details without ever leaving Facebook (or Instagram). These days, people expect that everything from shopping to job searching can be done on their handheld devices. Facebook lead ads make that true for people wanting to learn more about new products or businesses. Here’s how it works: Potential customers click on a lead ad, and their contact information automatically populates based on information from their profile. No leaving Facebook to visit the business’ website and taking the time to provide contact information necessary. Lead ads makes gathering lead information as easy as two taps on a phone: one to open the ad, and one to submit the information. According to research from Google, B2B buyers have increased the amount of mobile research they do throughout the B2B purchase path by 91% year over year. With lead ads, Facebook has set the bar for mobile marketing by eliminating the need for customers to fill out time-consuming forms and for companies to create landing pages. theSkimm, a news and information site, wanted to expand its reach and increase its conversion rate, with the ultimate goal of attracting more highly qualified leads and significantly increasing its subscriber pool. After testing a number of different tactics, theSkimm created a series of Facebook lead ads. The ads featured the company logo to reinforce its branding and a ‘Subscribe’ link inviting people to sign up on the spot. The result was a 22% increase in lead quality at a cost per acquisition of just $1-2. As buyers continue to turn to their handheld devices for quick, easy information, Facebook lead ads will give your brand the opportunity to capture new leads with the click of a button. But just like any form of lead generation, you need to monitor and tweak your Facebook lead ads for optimal results. Through Facebook’s Ads Manager reporting interface, you can obtain reports about cost, impressions, and clicks. As with all marketing tools, consistent refinement is the key to success. Lead ads can easily be fine-tuned to cultivate a larger target audience. Facebook lead ads provide B2B companies an opportunity to gain leads and a larger reach. If you haven’t tried this yet, we highly recommend switching over some of your social advertising budget.